Welcome to the New Ciao Amalfi! 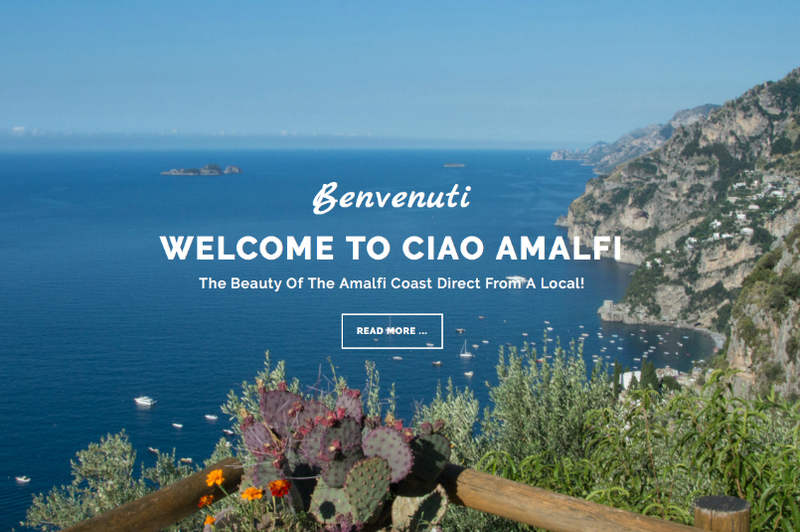 Welcome to the newly designed Ciao Amalfi website! The new look has been several months in the making, and I hope you will enjoy the new photos, features and design. If you’ve been reading Ciao Amalfi for awhile now, you will notice a big change. But don’t worry … all that you love about Ciao Amalfi is still here! The new design possibilities mean that I can bring you even more from the Amalfi Coast in the future! Stay tuned for tons of useful travel inspiration coming soon on the Amalfi Coast Travel page. Lots of exciting projects in the works! In the meantime, you can keep up with all the latest news here on the Ciao Amalfi Blog or by signing up for my newsletter. The new look here at Ciao Amalfi never could have happened without the creativity and dedicated help of my dear friend Hannah from French Californian and her super kind (and techie!) husband Erik. A huge thank you for all your wonderful help! And tanti grazie to Carla Coulson, who has been a lovely mentor – and always an inspiration! Your new website looks just amazing. I love reading your posts and your photos are always beautiful. When I’m missing the AMALFI Coast I click on Ciao AMALFI and get my fix. Thanks for sharing! You are always the inspiration for everything I do to share the beauty of the Amalfi Coast!